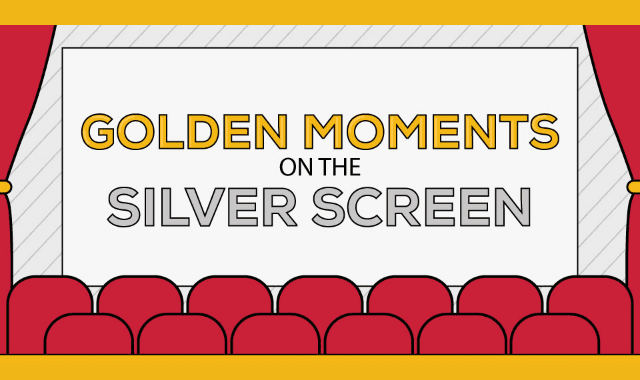 Golden Moments On The Silver Screen #Infographic ~ Visualistan '+g+"
At this time of year there are few things more comforting than settling down to watch a great film. Our latest infographic reminds us of some of the most memorable golden moments in film, dating back to The Maltese Falcon in 1941, right up to 2013’s The Hobbit: The Desolation of Smaug. Take a look at the infographic below and remind yourself of some of the most iconic golden moments on the silver screen.